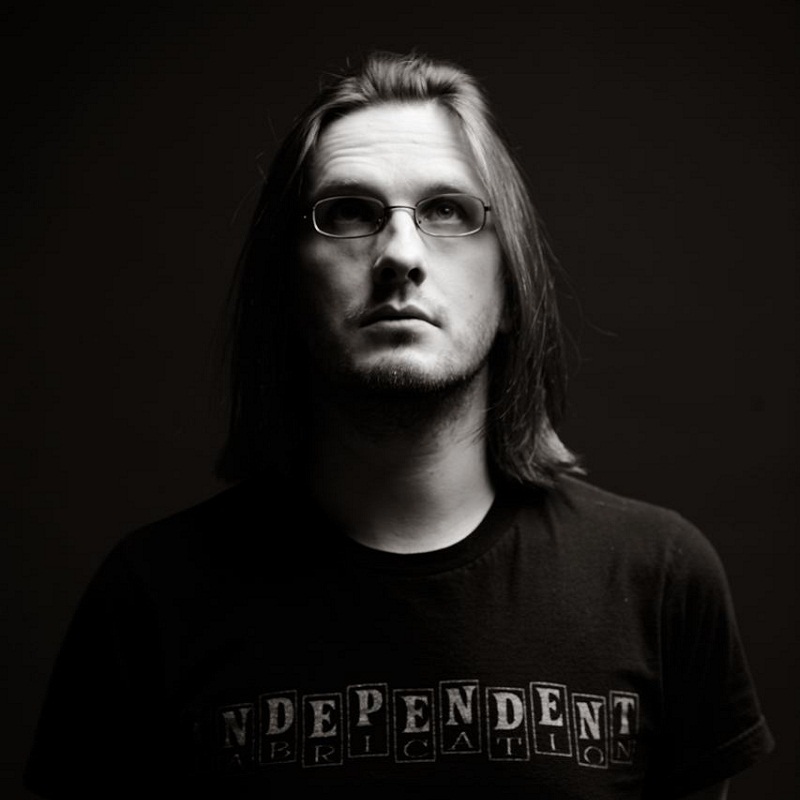 Steven Wilson’s third solo release, The Raven That Refused to SIng, confirms his artistic commitment to consistently evolve. He continues to work from a base form of progressive rock. For the unfamiliar, this means that radio-f riendly songs are unlikely and that the musicality is likely to be challenging to music lovers who prefer predictability in the music they hear. His last release, Grace for Drowning, was an intentional effort to embrace the pioneering progressive rock bands from the 1970’s, but modernize it with his trademark production values and insistence on inserting prog-metal or other stylistic insertions that abruptly change the songs’ flavor. I liked it at the time and still do, but amid the breadth of his other recordings, I don’t find myself returning to it. Wilson has been upfront on this new release that he wanted a more organic CD, less plotted by him and more open to the gifts that his touring band could bring to it. What was unexpected for me was how much closer in feel the recording would be to the old prog bands, with overt references to King Crimson, Yes, ELP, Jethro Tull, Genesis and Pink Floyd, the first three of which relished orchestral approaches of time changes, movements, etc. To my ears, I wish a little more of the latter bands were heard, with their graceful transitions between musical sections rather than Wilson’s penchance for the abrupt. The CD begins with “Lumnol.” At first listen (indeed, the first several), I didn’t take to the first 4:30 of the song. It’s not identifiable as a piece but rather a quickly evolving introduction to all of the band members’ talents. It’s a strange start to a song; it’s a stranger start to an album. Viewed that way, the section is a victim of instrumental hubris. Many others have noted that the intro and the remainder of the song are amongst Wilson’s best instrumental compositions. To me, this section sounds like a studio jam that could have been tacked on to any song. As instrumentally intriguing as it is, it doesn’t relate. It does bear witness that Wilson has opened himself to a jazzy improvisational approach. The band has talent. Let’s see what they can do with it. And that’s where the remainder of the CD shines. The lyric for the major portion of the story reframes the social commentary of Jethro Tull’s Aqualung into an individual one. A street panhandler plays old songs on his guitar, going through the motions having never tasted inspiration himself. Metaphorically, he’s a living ghost, unseen by those around him and living a life unlived. The song’s title suggests it’s a crime that he didn’t try. Wilson has been clear that within a finite life, each person should live l ife fully, and this reads as a commentary on the untold millions who work, watch TV every night, go to bed and repeat. Instrumentally, Wilson’s band brings their virtuosity into focus now that there is a purpose, and it’s a very engaging listen. I might point out Govan’s excellent guitar work, but that would minimalize others’ contributions. “Drive Home,” a narrative involving a fatal car crash and survivor’s guilt, feels like the loser in a contest with “Time Flies” from Porcupine Tree’s last release, The Incident. Still, it’s a beautiful song featuring a soaring guitar solo and is the most likely song on the album to fit within a random shuffle play. “The Holy Drinker” has a title that pretty well sums up the lyrical dispatch: a hypocritical preacher is addicted to alcohol, tastes his last drink with the Devil presiding, and goes to hell. Musically, this piece is diverse, heavy on the keyboards, with details that reward the listener over time. Wilson also sings differently on this release, tailoring his tone and delivery to the benefit of each song. That’s most obvious on “Pin Drop,” where he clearly doesn’t sound like himself... ghostly, even. The lyrics are cryptic at first, but they speak from the grave as a woman laments the violence that resulted in her marriage from a pin drop that she didn’t hear. Less violent though sadder is “The Watchmaker,” chronicling a man skilled at his profession who never found the mate he desired, married the one who was at least a comfortable fit, and arrives after 50 years together with unkind regret. Wilson in interviews has suggested that he kills her and she returns to haunt him, but I don’t find the point clearly made in the words. You were just meant to be temporary while I waited for gold. The song begins peacefully and beautifully but, of course, ends somewhere else. Finally, there is the title track, a deeply symbolic one. In short, a man near the end of life remembers his sister, who died when they were young. She used to sing to him, and he imagines that should a raven which visits his garden sing to him, it would be her inviting him to join her in death. This is a slower song that builds to a coda, and it’s beautifully captured on the official video release, which I’ve embedded at the end of this post. Thematically, this is an exceptional album. Wilson has created a concept album that doesn’t overreach in a story arch but rather dwells on similar scenes of ghosts, loss, sadness, and death. Instrumentally, the music reveals new things with each listen, a harbinger of music that will be enjoyed for a long time. It is rather complicated, but there are standout instrumental moments throughout which speak very favorably to his selection of musicians and their collective creativity. And, lastly, this release sounds fantastic. Each instrument is clearly heard, and the sonic quality is exceptional. I can’t help but wonder about Wilson’s next steps. One might consider that he can see himself in similar roles to those he depicts here, incomplete. When emotion enters into his lyrics, he tends towards the negative, or, at best, an abstract depiction of love. It makes me wonder how his music might change if he were as immersed in a passionate relationship with a person as much as he is with his craft. 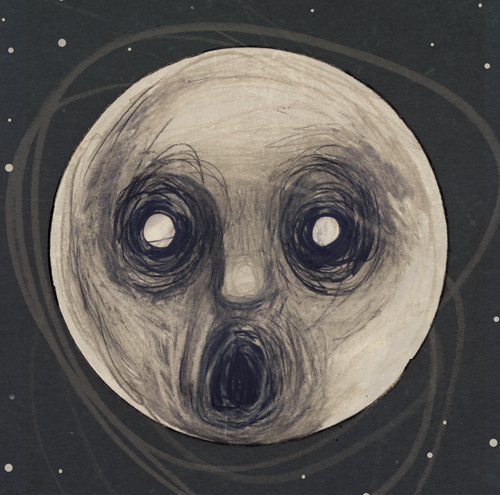 He may not be capable of better than The Raven That Refused to Sing.